An extremely high number of workers are struggling with depression in silence in the workplace, two separately commissioned studies have discovered. In Europe, up to 55% of employees diagnosed with depression take time off work due to the illness – which is the equivalent of about 38 million people. In the report, titled Depression in the Workplace in Europe: new insights from business leaders, companies such as BT Group, Ogilvy and Deutsche Post have shared information on their mental health policies and how they are attempting to improve their management of depression and stress in the office. 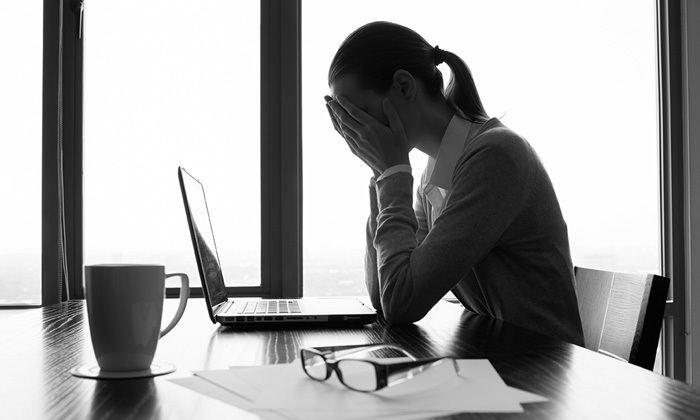 “Depression costs European employers an estimated GBP77 billion [S$162 b] a year, yet despite this many workplaces underestimate its impact,” Tim Munden, vice president HR, Unilever UK and Target Depression in the Workplace Advisory Group member wrote in the report. A separate study release in conjunction with Depression Awareness Week also found one in three people struggle to cope at work due to depression or stress. The research, published by the Depression Alliance, found 83% of those affected dealt with isolation or loneliness as a results. Only half of those feeling like this had confided in a colleague, despite 71% admitting that discussing their condition with friends in the workplace helped them feel better. “Depression is the biggest mental health challenge among working-age people and often leads to considerable loneliness and isolation at work,” Emer O’Neill, chief executive of Depression Alliance, said. What policies do you have in place to help combat mental ill-health, or what do you think companies could do better? Write to us in the comments below.